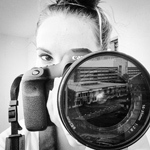 This is the second blog in our Profiles in Courage series in which we’ve teamed up with photojournalist Morgana Wingard, who is on the ground with USAID staff in Liberia documenting the fight on Ebola. 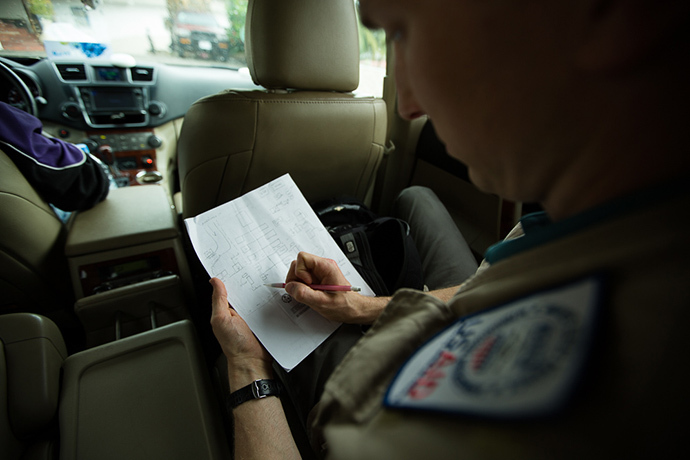 This series will record the experiences of our Disaster Assistance Response Team staff on the front lines of the Ebola response – from the security officers, to public health experts, to information specialists – and offer their reflections on this historic health crisis. The buzzwords here in Monrovia are “unprecedented” and “exponential.” Everything about the Ebola epidemic in West Africa is unprecedented as it spreads exponentially. 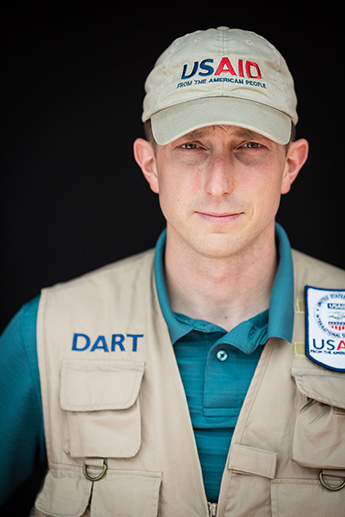 U.S. Army civil engineer Andrew Hill is part of the USAID-led Disaster Assistance Response Team (DART) tasked with implementing an unprecedented response to the Ebola crisis. An essential part of that response is constructing and staffing new treatment facilities that can isolate and care for the growing number of people infected with the virus. On the ground in Liberia, one of the first tasks by Andrew and the U.S. military engineers was to conceptualize and design an ETU. Working hand-in-hand with members of the Armed Forces of Liberia (AFL), they consulted the experts with a gold standard ETU model: Médecins Sans Frontières (MSF) and the World Health Organization (WHO). Building off of their expertise, they tailored the designs to create Department of Defense and AFL-specific versions, which could be built and implemented with their resources. 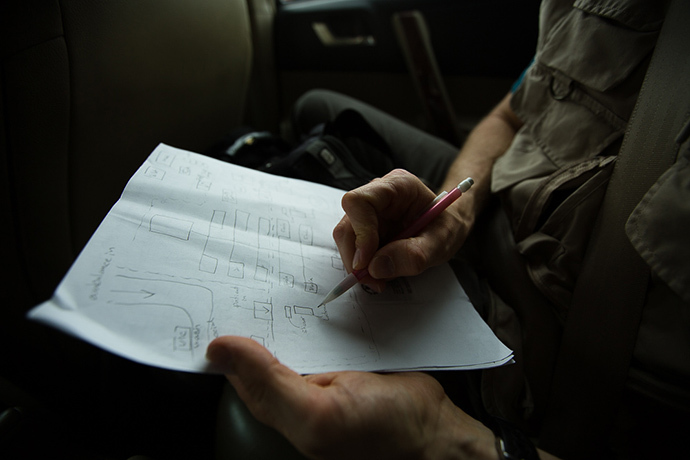 The plans started with a hand-drawn sketch that Andrew created while driving in a car on his way to various sites. That sketch formed the basis for what would become a full concept and material list needed to begin ETU construction. The U.S. Army Africa engineers, led by Lieutenant Colonel Scott Sendmeyer, pooled their collective professional engineering knowledge and tools in order to continue developing and finalizing the design, and to determine the remaining requirements needed for implementation. The first site to use the design is scheduled to begin construction imminently — and this model will be replicated and constructed across Liberia by a team of 150 AFL engineers to help save lives and stop the spread of Ebola.